An international digital project, ‘Libraries, Literacy and Language’, was showcased in Leeds, England on Saturday. The project was a collaboration between the Tetley— a centre for contemporary art in Leeds’ South Bank—and the Karachi Biennale Trust. Filmmaker Rajnish Madaan and school children from Morley Newlands Academy, New Bewerley Community School and Batley Girls’ High School created three short films for the project. 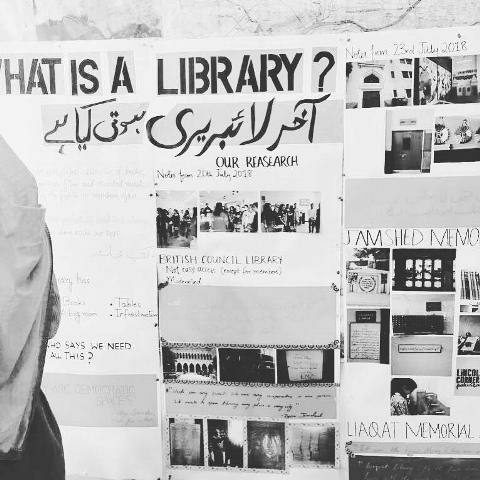 The Karachi Biennale Trust worked with 11 young people to highlight the lack of public libraries in the city. 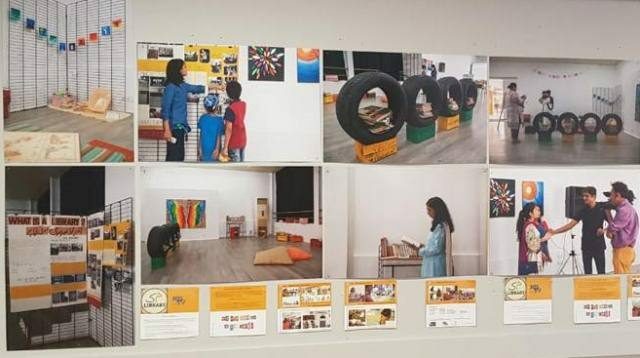 “The Tetley worked with the Karachi Biennale to digitally connect the ethnically and religiously diverse cities – Karachi and Leeds, exploring language and libraries; how we use them and what they might become in the future,” according to the art centre’s website. The project is a part of a three-year programme of activity across 11 organisations from the North of England and South Asia supported by Arts Council England and the British Council. Earlier in the year, the Tetley collaborated with the Karachi Biennale to exhibit the work of two Pakistani artists — Madiha Aijaz and Mahbub Jokhio. Aijaz’s solo show explored public libraries in Karachi and how these spaces work as a lens to view the city’s changing landscape. Jokhio focused on the graveyards in Pakistan. His works considered the notions of longing, love, grief, and memory.